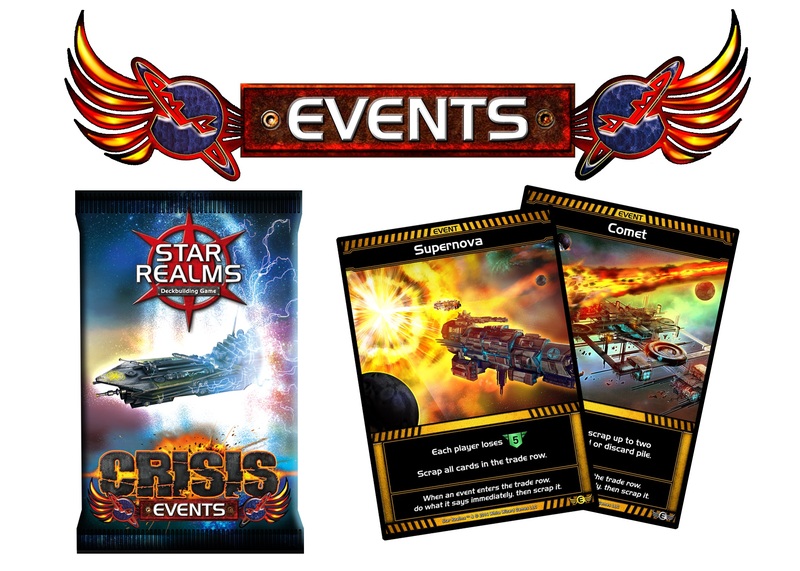 The Star Realms’ universe is in crisis, will you rise to the challenge? 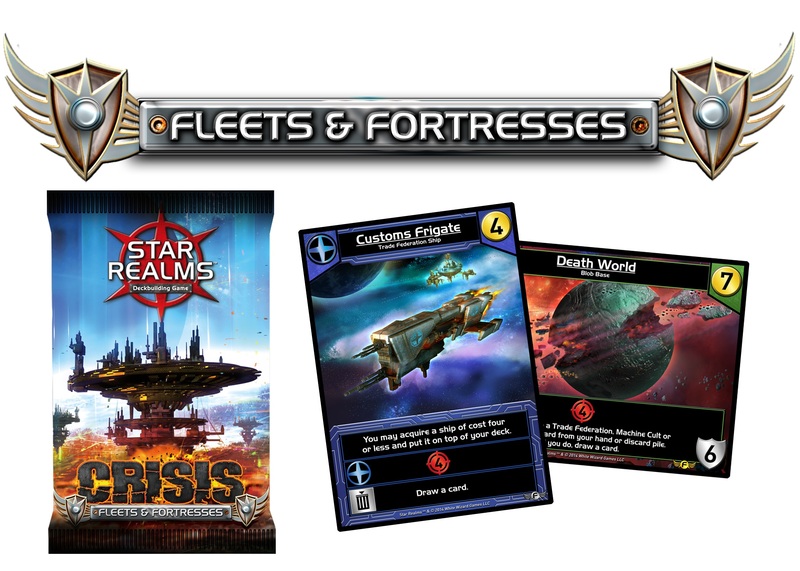 This explosive new expansion features four new packs of cards to expand your Star Realms’ play experience: Events, Heroes, Fleets & Fortresses and Bases & Battleships. We’re excited to announce that you can now get this set in your digital app too! Add awesome new ships and bases to your Trade Deck, plus experience Heroes and Events for the first time! 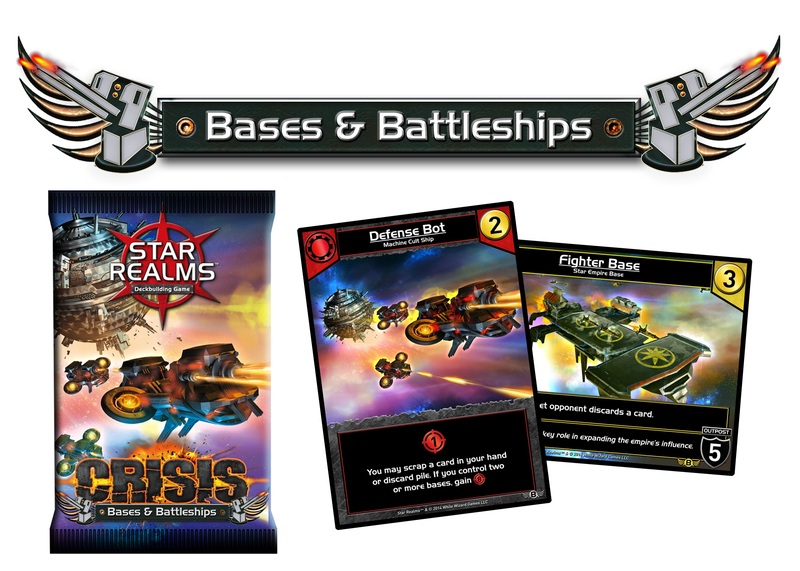 This expansion contains 12 cards: 1 Construction Hauler, 2 Defense Bots, 2 Fighter Bases, 1 Imperial Trader, 1 Mega Mech, 1 Obliterator, 2 Trade Rafts and 2 Trade Wheels. This expansion contains 12 cards: 1 Black Hole, 1 Bombardment, 2 Comets, 1 Galactic Summit, 2 Quasar, 1 Supernova, 2 Trade Missions and 2 Warp Jumps. 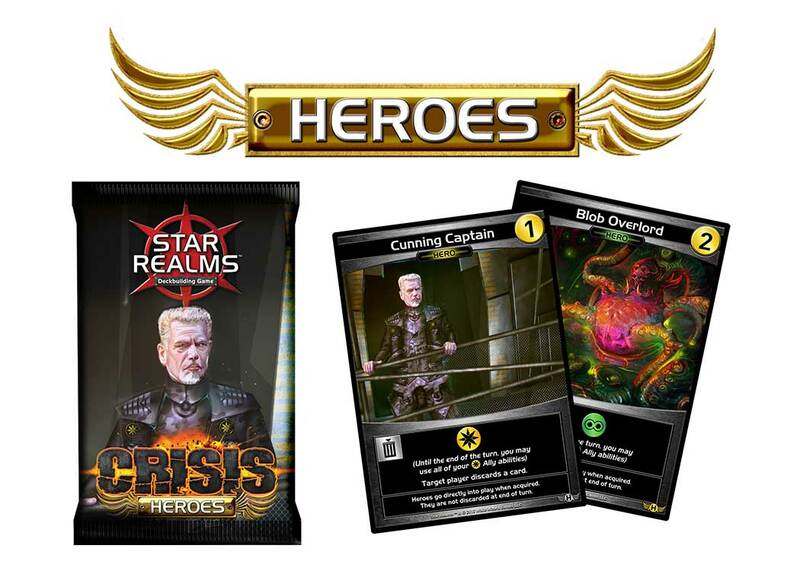 This expansion contains 12 cards: 2 Cunning Captain, 1 Admiral Rasmusson, 2 Ram Pilot, 1 Blob Overlord, 2 War Elder, 1 High Priest Lyle, 2 Special Ops Director and 1 CEO Torres.